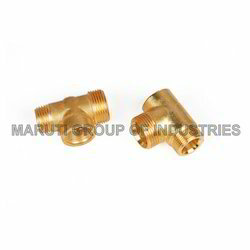 We are a leading Manufacturer & Exporter of Brass Forging Parts such as Forging Tee and Forging Parts from India.we have knitted a wide distribution network across the national and international markets. With the help of sprawling infrastructure facility, we have been able to manufacture, supply and export Forging Tee. Manufactured using premium quality material that is sourced from authentic market vendors, these tees are widely demanded across the globe. Also, to ensure timely delivery of consignments, we have knitted a wide distribution network across the national and international markets. 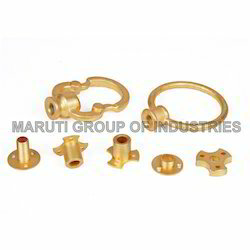 Our clients can avail from us a vast array of Forging Parts. All the offered products are manufactured by our expert professionals utilizing high quality material that is sourced from authentic vendors. Our respectable patrons can avail these products from us in a spectrum of specifications at market-leading prices. Looking for Brass Forging Parts ?